I’m a firm believer chocolate brownies are the ultimate dessert. There's something very comforting about biting into a soft fudgy brownie with a glass of milk nearby to wash it down! 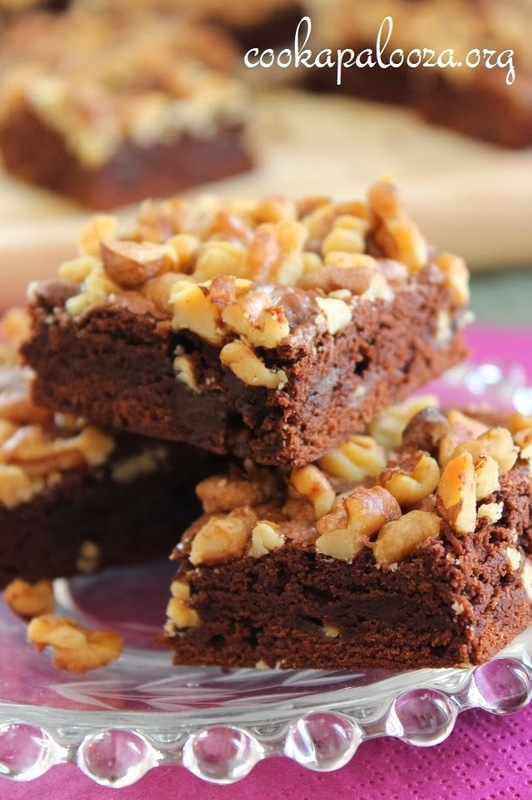 This Valentine’s Day I'm skipping the usual box of chocolates and baking a batch of these Double Chocolate Chunk Fudge Brownies for my wife (sans the walnuts). 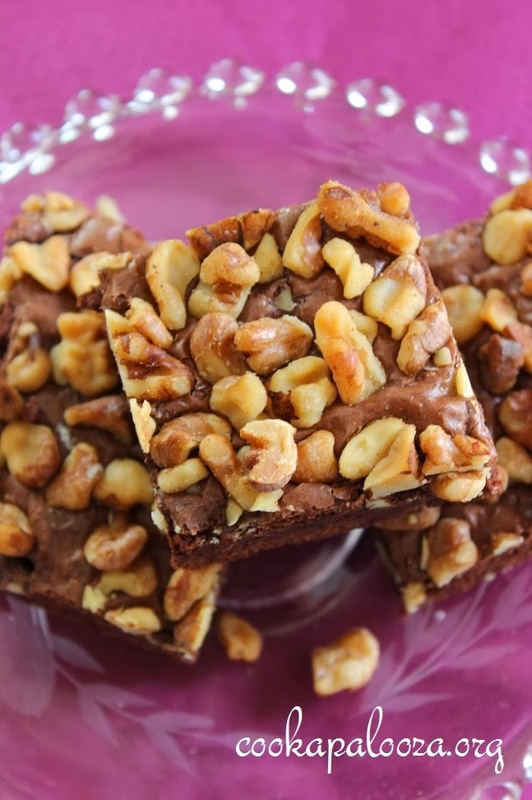 I love chopped walnuts on brownies! However my wife prefers brownies that focus solely on the chocolate so I’ll nix the nuts when I bake them on the 14th. And thank goodness I had the chance to test this recipe beforehand. On my first attempt they came out slightly dry. The funny thing is my sniffer signaled that the brownies were done after 20 minutes of baking. Should have trusted my nose (it always knows). Instead I left them in for 25 minutes which was five minutes too long. But hey, we’re talking Double Chocolate Chunk Fudge Brownies so they were still great! And since my kids think walnuts are "yucky"...I got to enjoy the whole batch = ). Enjoy your homemade brownies and have a Happy Valentine’s Day! You'll find the best dinner recipe I've tried so far in 2014. It's saucy and very tasty! I'm excited to share it with you! JOIN ME FOR FREE AND GET RECIPES THAT GO BEYOND THE RECIPES POSTED HERE. Your privacy and email are kept safe. Generously butter the bottom and sides of an 8-inch square baking pan (I sprayed the pan with cooking oil as well to prevent sticking). In a medium saucepan, melt butter over medium heat. Remove from heat. Add cocoa and whisk until smooth. Stir in sugar and salt. Whisk until blended. Add 1 egg and whisk until just blended. Whisk in vanilla and the second egg just until blended. Sprinkle flour over the mixture and stir with a rubber spatula until just blended. Add the chopped chocolate and stir. Spread batter evenly into prepared baking pan. 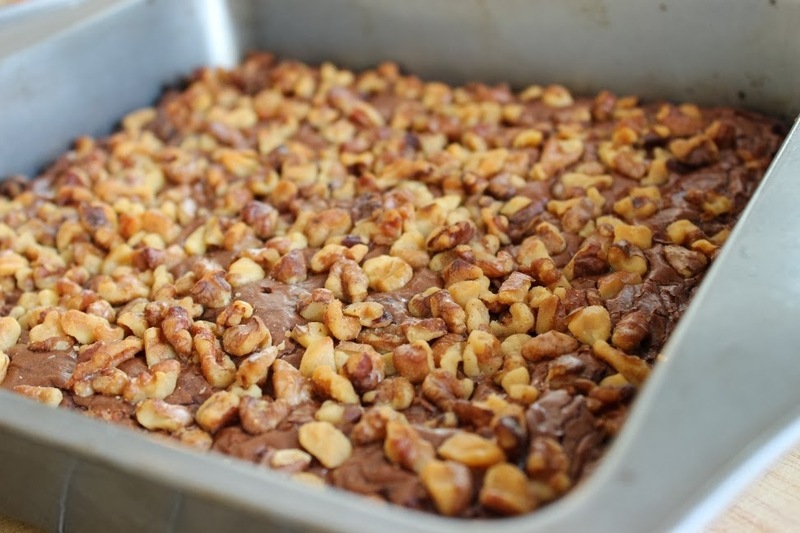 Scatter walnuts evenly on top. Bake in a 350 F oven until a toothpick inserted in the center comes out with small gooey clumps, about 20 minutes. Transfer baking pan to a rack and let cool completely. Run a knife around the edges of brownie to loosen and remove from pan before cutting. 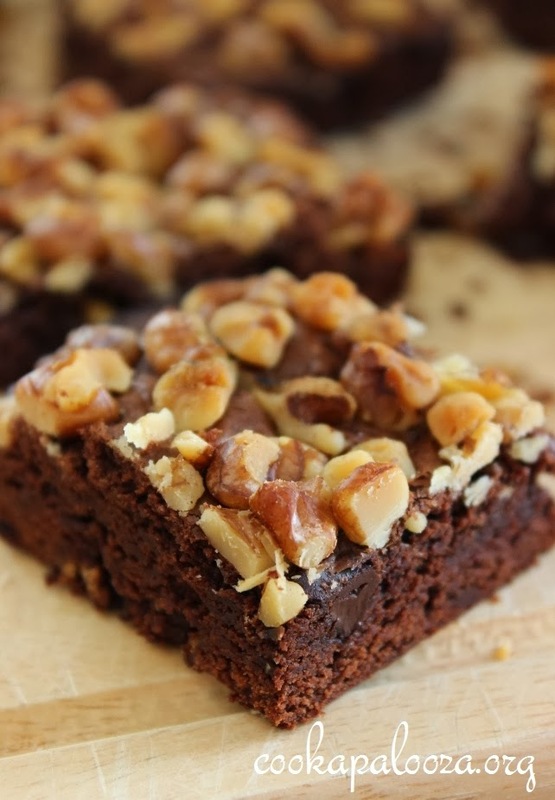 Go for it Chelsea...one fudgy brownie (or two) won't hurt = )!